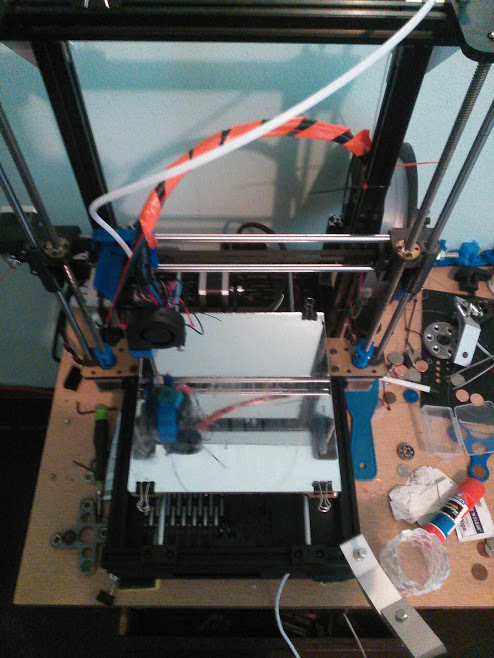 My Prusa i2 is almost complete now. I’ll update pictures. Just working on the fine tuning now. HyperCube I’ve built few month back. Actually I don’t own it anymore, sold literally 3h ago on eBay. Up! Plus - good old Plus 1st gen on linear guide rails. This project is going slowly in comparison, 0.15 isn’t easy. My Mendel is slowly coming along. it’s been a real pain getting all the rods aligned. I’m using SAE 5/16" rods which were real cheap at HomeDepot. My old Da Vinci that I’ve butchered over the years. 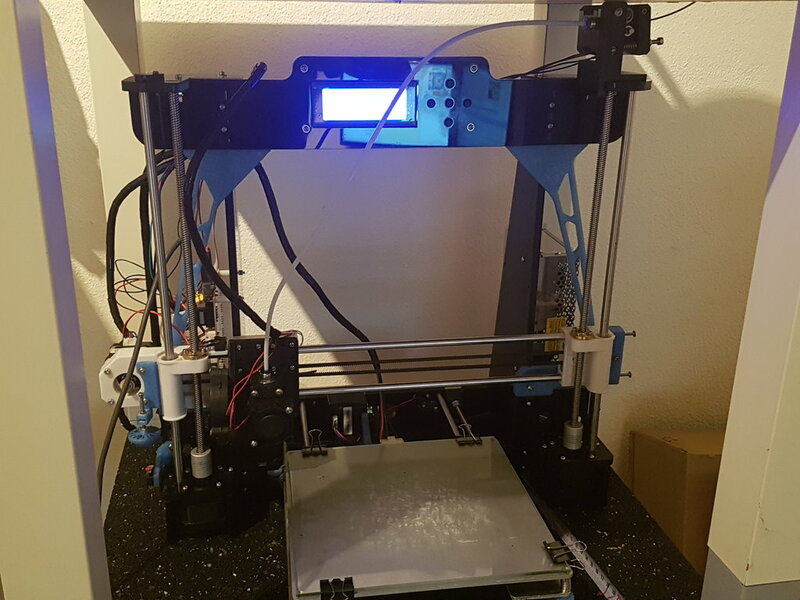 I regret buying this thing, it came with the worse hotend that only supported ABS. I put E3D V6 hotends in it but looking to upgrade it with a Chimera hotend. 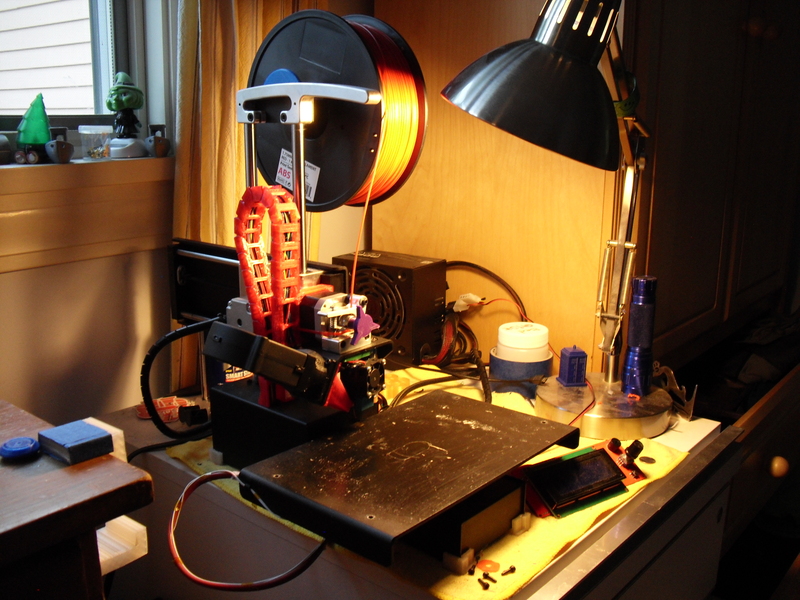 My wackily modified Printrbot Simple Metal. 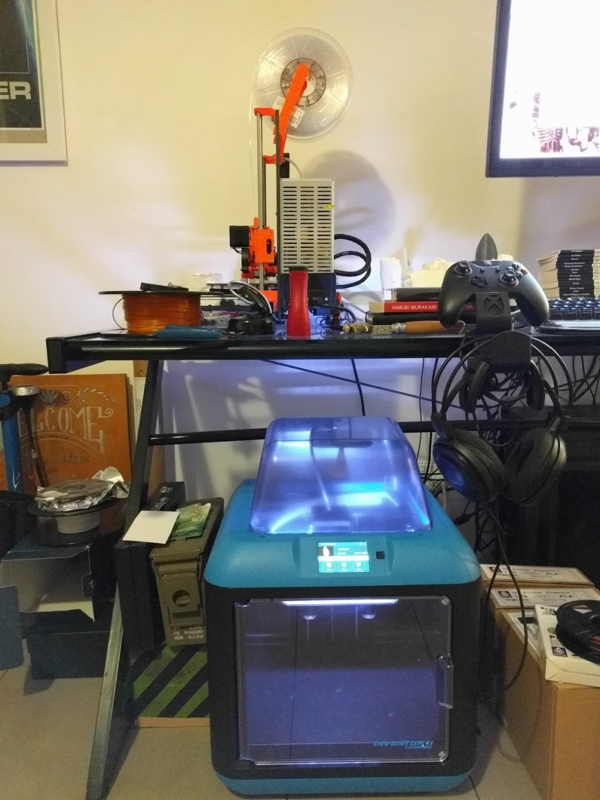 I’ve had it for 3 years now, and It now has an e3d v6, 120v 300W silicone heater for the bed, 3d printed cable chains, 500W ATX power supply, LCD controller, and a high output cooling fan. 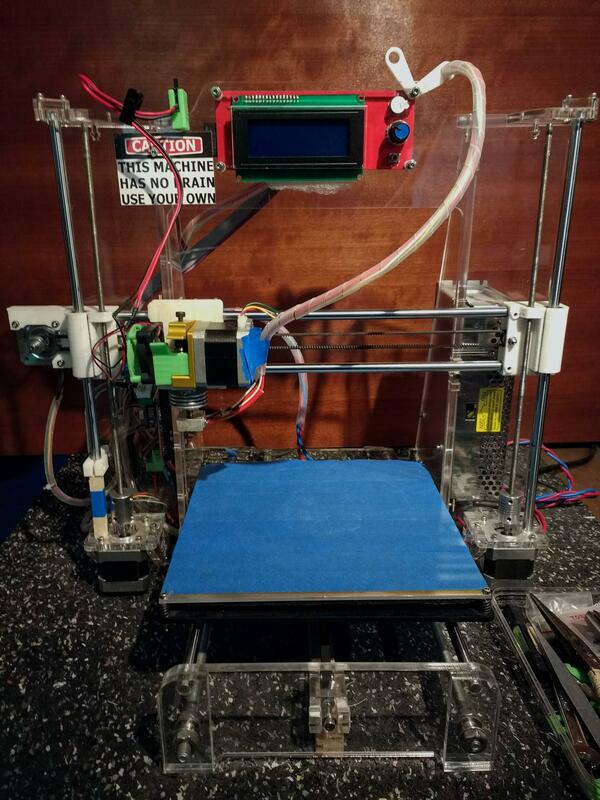 This is my custom machine inspired heavily by the Prusa i3 and MK2-X remixes. I’ts been a work in progress for quite some time but is now finished. 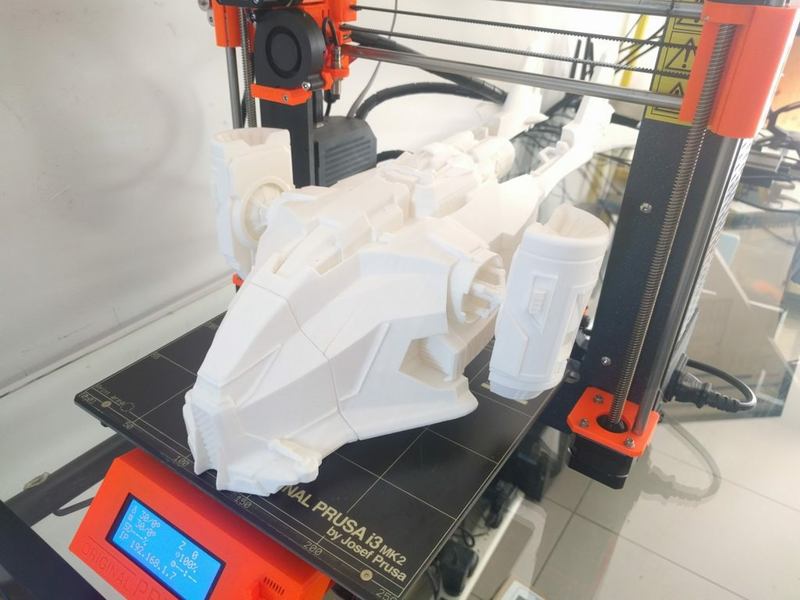 It’s rocking an E3D V6 in a bowden setup with a Titan extruder (now using a Bondtech BMG). I call it Extrusion i3. We’re using our 3Dator printers for every day printing jobs. 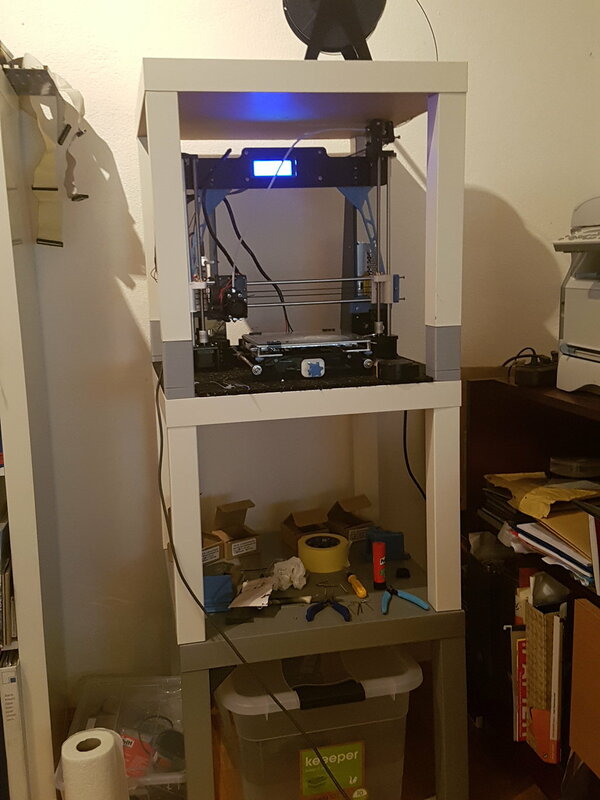 Recently added a door and a top enclosure for more consistent prints. But I’m lucky enough to work in the commercial side of things so I get to play with lots of other machines. Still a work in progress as I only own it now for about 4 weeks and figuring out how to get the best out of it. 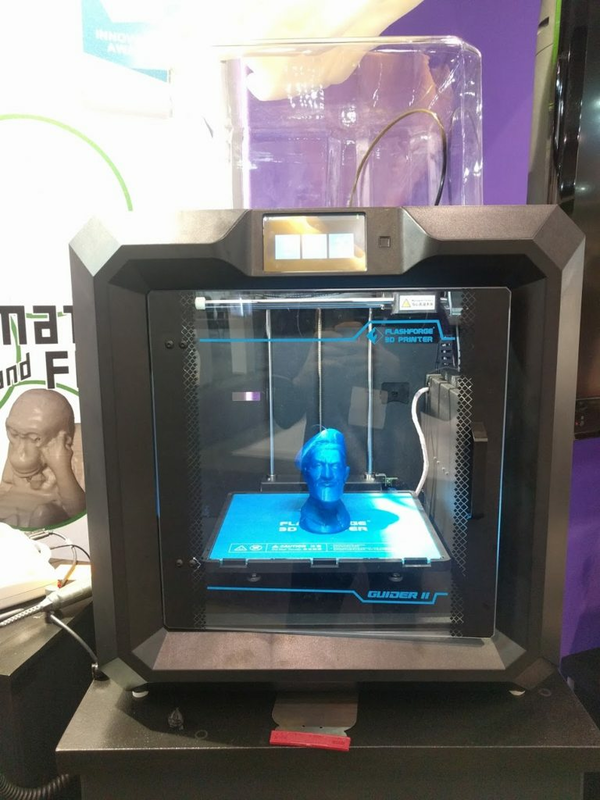 Maybe go with Tom’s Prusa series and build a second one from the scratch. I’m working on adding a part cooling fan and trying to fix ripping (might be due to the rubbery sheet under it). I might try to add a sock, maybe following megamaking’s instructions. The quality I’m getting out of it is pretty good except for straight lines where I get ripples.